With the arrival of spring, we’re excitedly watching for signs of life in our new garden of native plants at the front of Yellow Springs Community Library. Master Gardener Terese DeSimio designed and installed the garden last fall. The native plants are well-suited to thrive in our soil and climate. In addition, they feed and house our native pollinators—commonly known as bugs—which are so essential for the flowers, vegetable gardens, farms, and wild areas that we need to survive. All the plants in the garden are labelled, so you can learn what they’re called and what they look like. 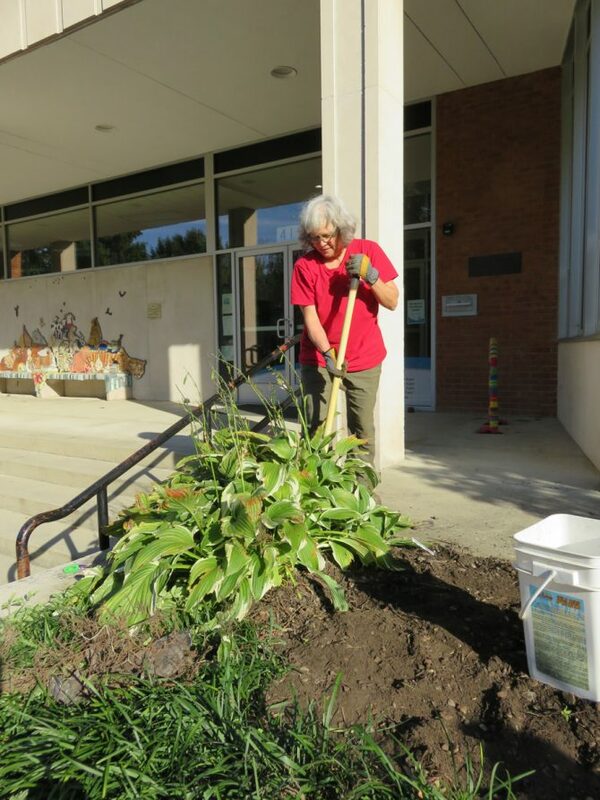 Last fall, Master Gardener Terese DeSimio relocated old plantings to make way for the new. Also labelled for ID are shade garden under the big oak tree south of the building, the food forest along the driveway, and the native plants just behind the building. A sign helps explain why native plants look different from the usual ones in flower gardens. 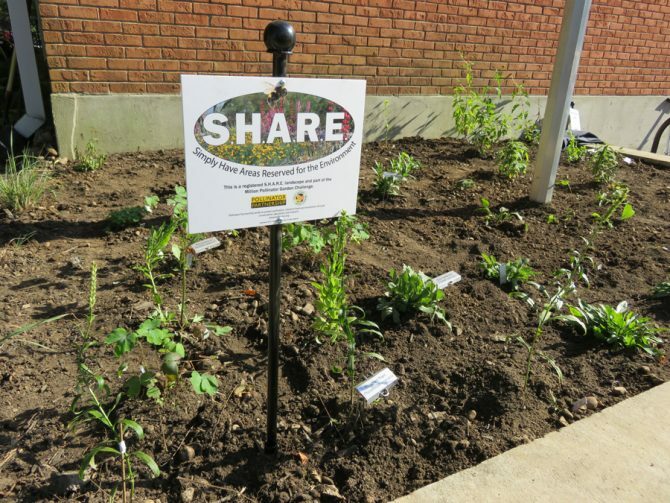 This bounty of gardens is cared for by a mix of Master Gardener volunteers and workers provided by Greene County Public Library and the Yellow Springs Library Association. We appreciate all their contributions. Their work makes the outside of the library educational and inspiring, just like the inside!